Some of the photo I took and I never realize that Hada Labo has such a huge range of product. Now they even have BB cream and also hand cream?!!! OMG Surprise me with that and as usual they have diff range and type of product suit various skin type. For dry skin , sensitive skin , moisturizing , whitening , anti aging , skin peeling and so on! So ARE YOU READY TO FOLLOW ME TO EXPERIENCE THE BEAUTY SECRET WITH Liu Yen guru♥?? WOOOHOOO!! LIU YEN YOOOOO!! Previously met the hair guru now beauty guru! OMG I'm so happy and happy til can die now~ I can't stop taking photo of her and sorry ya I block my ugly face because it's really ugly :X But just wanna tell you all that everytime I saw her on tv I was like wow she's so white and pretty. In real, she's thinner than on TV and also her sound and voice make us feel very comfortable. 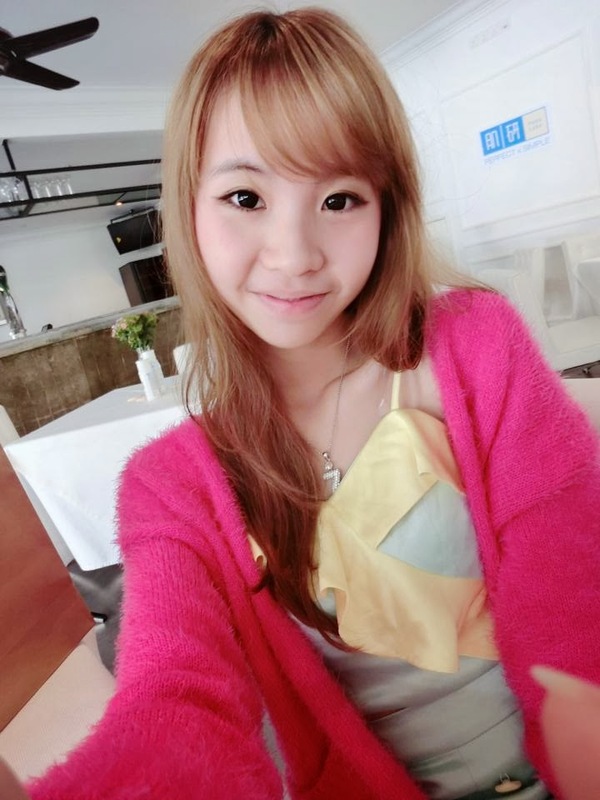 I think most of the Taiwanese have this kind of accent make me feel like flying to Taiwan again this year end! WOOOHOOO die also want to take photo with her even it's far. But end up I actually feel I'm so annoying because I can just simply walk in front and stand with her + take photo. But I just can't control myself. So....HAHAHAHA other than look at her I also follow what she say trying and testing the Hada Labo hot selling product - Lotion (Toner) and also their moisturizer. Each table placed two bottle of tester for us to try and did a small experiment on that. We want to see the absorption level of the moisturizer in both sponge. One sponge added with Hada Labo lotion/ toner before putting their moisturizer. First put few drop of toner and let the sponge absorb it. Then put on the moisturizer as the next step while another sponge just put the moisturizer on it. See so obvious the left sponge (with toner) absorption level is better than the one without the toner. Imaging that the sponge is our skin. Therefore, we can conclude that lotion or toner can improve the absorption level and effectiveness of the next product. No matter when you wash your face or anytime you are doing your skincare routine always remember to use toner and having some massage time with your hand too. This is really important because next product you use you skin will easily absorb it and you no longer waste your money and telling people that your essence or moisturizer doesn't moisturizing at all. Beauty Tips #1 Important step on your daily skincare routine : Apply the right toner product on your face. This will improve the effectiveness and absorption level on your next product you use. Guess all of you know that Hada Labo toner was no.1 hot item in many diff country. Right? You can easily find this and most of us were using this right now but do you know why it's good on our skin and why IT'S SO SPECIAL?? If you ever watch Beauty book or some Beauty Show. You will always heard about the term of 'Hyaluronic Acid 玻尿酸' Most of the face product or sleeping mask you use included this as their main ingredient!! Then you will ask...yerr every product also got but why Hada Labo can still be so special and hot selling item among all others brand? Because of the 3 TYPE OF Hyaluronic Acid 玻尿酸. For your easy understanding it's break down into Small, Medium & Large Hyaluronic Acid 玻尿酸. As you can see from the diagram above the smallest (nano hyaluronic acid) will be absorb to the deepest layer on your skin. Then the medium and the large one! But what special about it? why they using 3 type of that? It's because each type have special function on our skin. 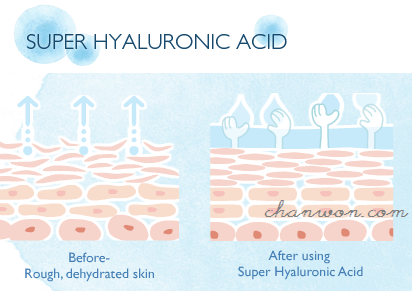 But the most special one will be the Super Hyaluronic Acid! Super Hyaluronic Acid has twice the moisture retention capacity of Hyaluronic Acid and also it will always catch the water to our skin抓水 and it's why Hada Labo product always keep our face super moisture even after few hours! Not just that, we have special demo time with a pretty model too. 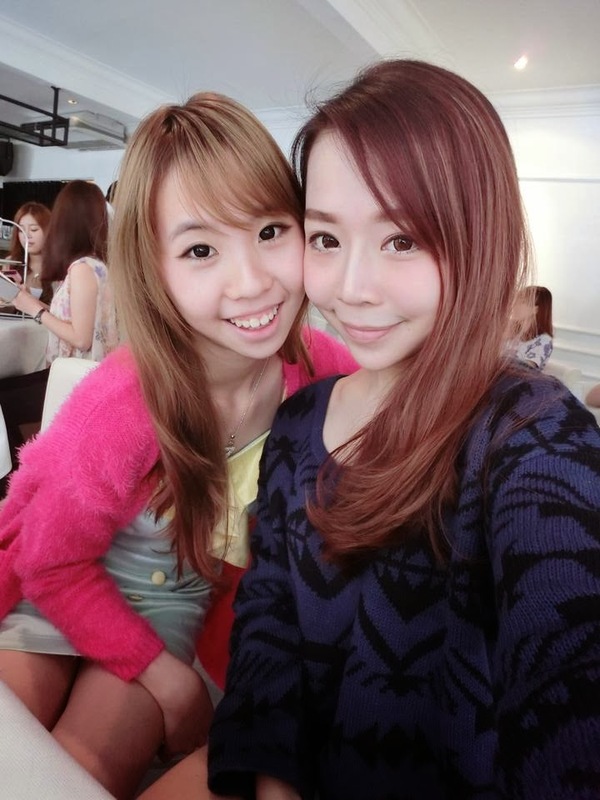 This model same age with me..Why I look so kids people look super pretty and mature :'( I wanna be mature too! arghhh!! Btw, this demo showing us what is the correct way to apply your toner and skin massage . I think you can just go ahead purchase Liu Yen book because everything she share on that day was appear on her book too. Can't believe I always saw her on TV and now she's in front of me. So near! LOL After that we have some interaction time with her. Each of the table ask one person represent answer one question. The one who answer correctly will get Her own published BOOK + Signature! HAHAHAH First time attempt wrongly but after that question I answered correctly.. So I got one book from her! Love you my god! TTAAAAADAAA!! The book slept with me yesterday. Not complicated and some hand massage tips for you to read! Her signature on it! OH YEA!! #1 All product texture was the same (Toner / Moisturizer/ Essence) but if each of those have diff function like Whitening , Moisturizing and Anti Aging which should I use first and what's the sequence? #2 How if I have diff kind of texture of the product. What kind of texture I should use first? Answer: Pick the lightest texture first. Haven end we still have almost 45 mins for Q&A session. We can ask everything we want!! High Tea Time with all other blogger. Super hungry !!!! Messy hair + just wake up look too!